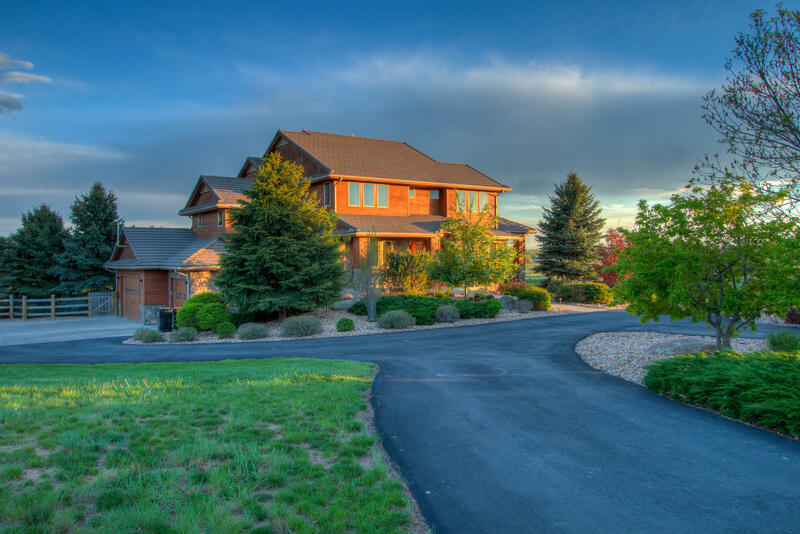 This stunning Colorado mountain style home on 3.7 acres offers an abundance of sunlight, high end custom finishes throughout, spectacular back range views and magnificent landscaping w/ cascading waterfalls and tranquil pond. Adjacent to Private HOA open space. Abundance of sunlight throughout. On a clear day, views from Pikes Peak to Wyoming. Open floor plan, walk-out lower level with game room, huge wet bar with ice maker, DW, double wine fride and "secret" pop-up liquor storage. Home theater with drop down projection or huge flat screeen and work out room. 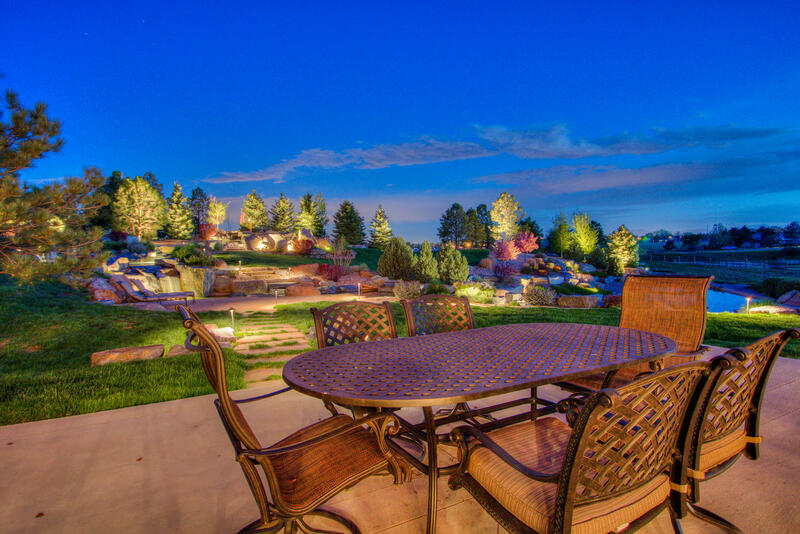 Wonderful spaces for entertaining inside and out. 3 decks, front porch and back patio, fire-pit on upper waterfall patio. Ready for those wanting to enjoy all that Colorado offers. 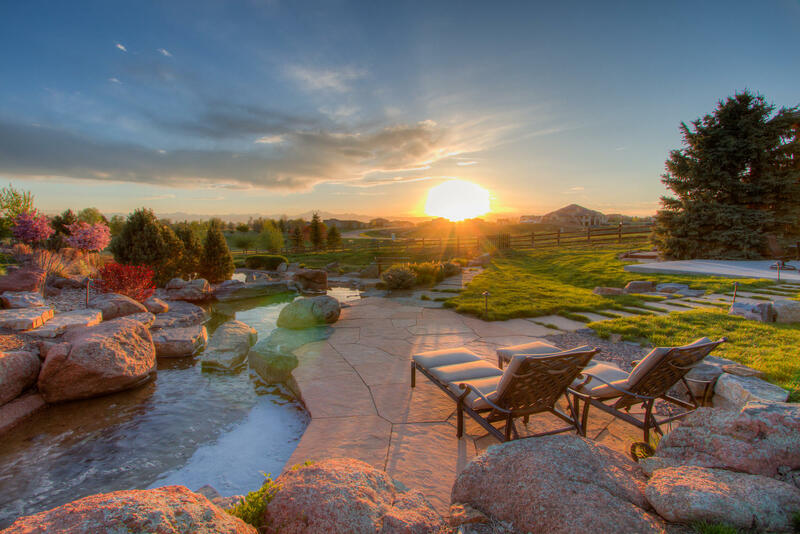 HOA provides non-metered lake water irrigation to lot when available. Zoned for 2 horses if gesired.